As many know our membership packages are paid in full! Here's our first MEMBERSHIP that's billed monthly and gives you BIG SAVINGS for custom made suits! Several packages to choose from. 11th month: Surprise crystal suit (you can choose color and connectors only) ***Value $250 (if you prefer a swimsuit instead specify...this is the only time you can substitute upon approval. 12th month: You tell us what you want bikini wise AS LONG AS its valued $169 or Less! What you get: 1 suit per month. You can specify the fabric for most the suits, and you CHOOSE the coverage/size you want. IF you do not specify fabric at time of purchase designer will choose. IF fabric is sold out we will contact you for second color option. Need the bikinis quicker but want to get these deals?...You can pay upfront. 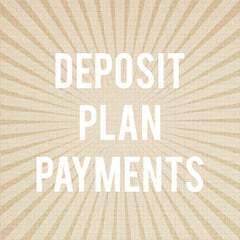 Contact us ravishsands@gmail.com to arrange payment.